Do you ever have one of those recipes that is so ridiculously easy, you’re almost embarrassed when people ask for it? 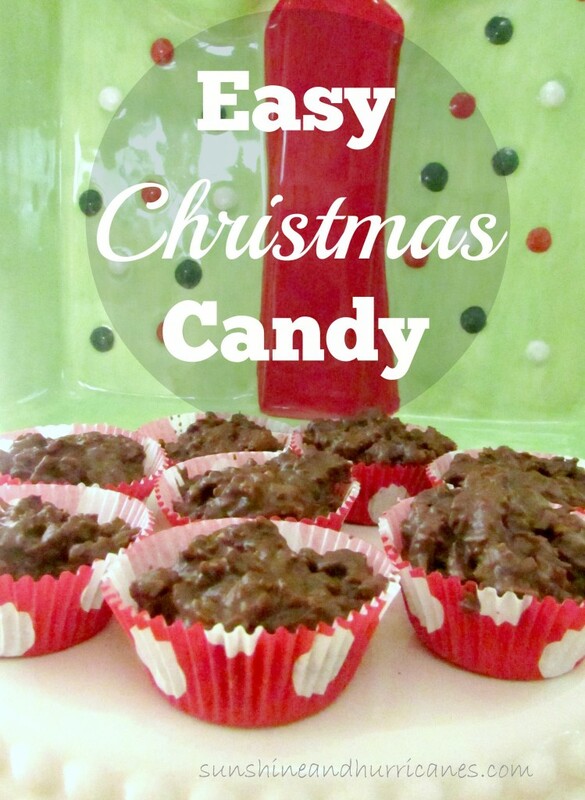 This quick Christmas candy is that for me! There are only 3 ingredients and very little, if any, actual cooking involved. I’ve made this for parties, potlucks, and cookie swaps with the same results; everyone thinks they’re delicious and wants the recipe. The secret to taking this candy from beyond ordinary is in the roasting and toasting. Spread the pecans on a cookie sheet, pop in a 250 degree oven for 6-8 minutes, tossing them halfway through, until they’re evenly roasted. 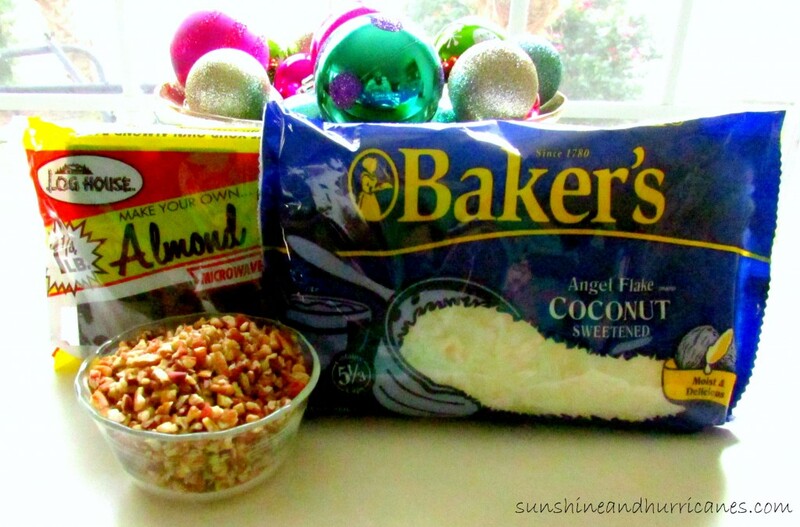 On a separate cookie sheet, do the same with the coconut. 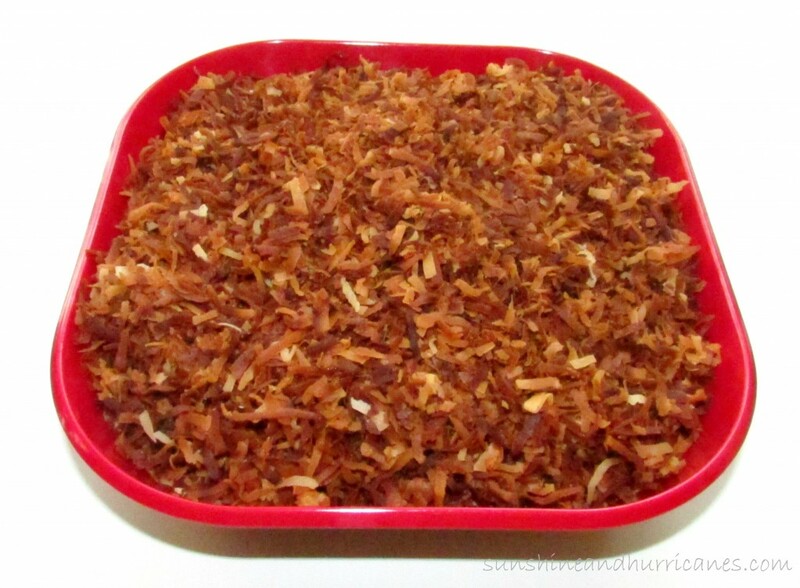 You may need to toss the coconut a few times to get it evenly toasted. Melt the chocolate according to the package instructions, add the roasted pecans and toasted coconut, mix until well combined. Add the mixture to a small cupcake pan lined with baking wrappers, stick in the refrigerator until candy is hardened, usually 45 minutes to an hour. 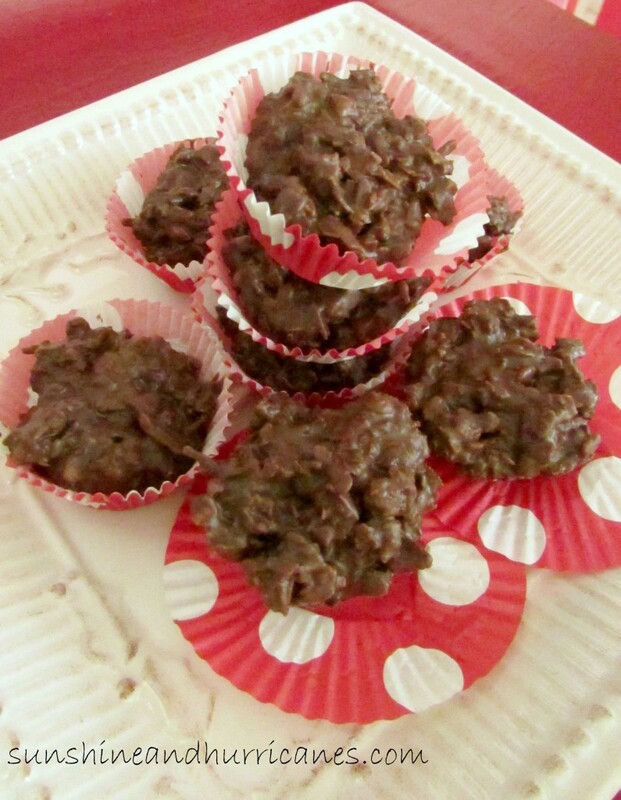 Remove the candy cups and enjoy crunchy and rich treat! These are perfect for gifting, parties, or your own family to devour…even after you’ve expressly instructed them the candy was for the neighbors…..sigh………….